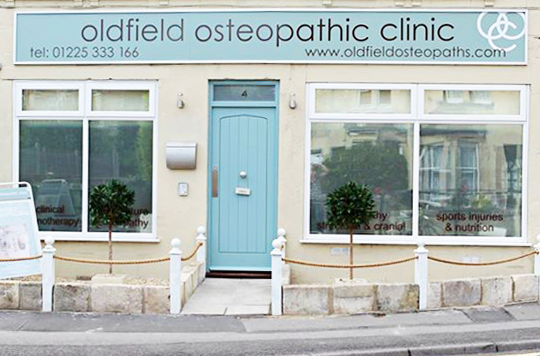 Oldfield Osteopathic and sports injury clinic is in the heart of Bath and provides a multidisciplinary healthcare practice to the people of Bath, Bristol, Frome, Radstock and the surrounding areas. We have several osteopaths as well as other complimentary practitioners including Acupuncture, Hypnotherapy, Nutrition and Reflexology. As one of the south west’s leading sports injury clinics we provide treatment for leading sports men and women including elite athletes from the British Karate Federation. Osteopathy is an established system of diagnosis and manual treatment that recognizes and promotes the good health of the musculo-skeletal system: the muscles, joints, ligaments and tissue under the skin. Acupuncture works to help maintain your body’s equilibrium. It involves the insertion of very fine needles into specific points on the body to regulate the flow of ‘chi’, your body’s vital energy. Sports Massage is a specialised technique developed using the principals of Swedish Massage. A deeper massage technique which ensures that underlying structures are treated. Selected in 2011 as one of only 25 Osteopaths to work within the central medical teams at both the London 2012 Olympic & Paralympic Games within the inter-disciplinary Physical Therapies teams. Dave was located in the Olympic Sailing Village in Weymouth. This is truly a great honour and privilege to be one of the first osteopaths to attend The Greatest Show on Earth. Since 2010 he has also held the position of Development Officer for the Osteopathic Sports Care Association (UK). 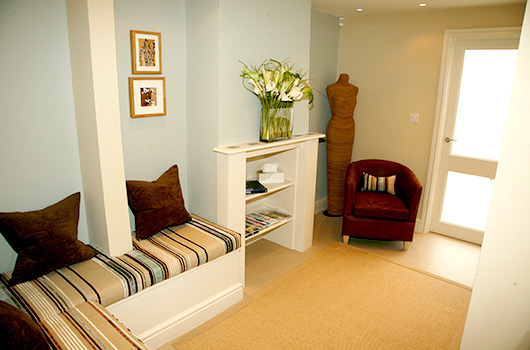 The first clinic was established in 2004 by Dave Inman at Oldfield Surgery, working alongside local GP’s. As this clinic grew, Dave opened the sister clinic in Livingstone Road in June 2007. Both are recognised by many of the leading healthcare providers including BUPA and AXA/PPP. The clinic provides first class osteopathic treatment to the local community in general, as well as sportsmen and women, to help them achieve and maintain top level performance. Dave graduated from the British School of Osteopathy in 2001 where he was awarded the Academic Dean’s Prize in his final year. Originally from London, he started his osteopathic education in 1996 following a 22 year career in the Army in the Royal Electrical and Mechanical Engineers (REME). He has continued his academic study since graduating, completing a post-graduate course in Classical Osteopathy, and has co-authored two research papers (2015 & 2016) published in the American Journal of Sports Medicine and the British Journal of Sports Medicine. James is a GOsC registered osteopath who trained at the British School of Osteopathy in London. He has 30 years background in rugby and sports with special interests in sports and rehabilitation, Chronic Fatigue and Fibromyalgia. James is a member of the Osteopathic Sports Care Association (OSCA) and an affiliate of the Perrin Technique. As the Bath Rugby intern (OSCA 2015-16), James also acts as a consultant osteopath to Ian Thomas, Director of Squash, Millfield School and elite national athletics coach Dan Cossins. Alex qualified as an osteopath from the British School of Osteopathy, London in 2008 with a BOst Hons degree. Following a period of working in several busy multidisciplinary clinics in London he relocated to Bath. Alex utilises his general osteopathic skills in treating a wide variety of patients and has a keen interest in treating sports injuries and pregnancy related pain. He has completed his training in Specialist Paediatric Osteopathy. Sue is an experienced Sport Therapist/Sports Masseuse who possesses a BSc (Hons) Sports Therapy alongside an FdSc in Sport & Exercise Rehabilitation. During her career she has worked with athletes from grassroots to professional sportspeople as well as non-sports people. Andy studied at the London School of Traditional Acupuncture (LCTA), achieving a BSc Honours Degree in Acupuncture. He also studied at The Devon School of Shiatsu, achieving a Licentiate Diploma in Shiatsu Therapeutic Massage. 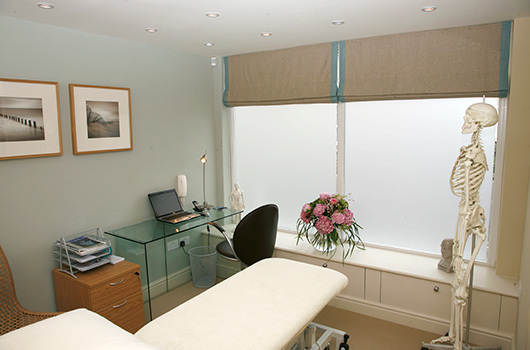 His membership of the British Acupuncture Council, the UK’s governing body for professional, highly trained Acupuncturists, guarantees you will receive the highest standards of professional care, hygiene and safety during your treatment. As an NLP practitioner, Life Coach and clinical hypnotherapist, Fiona is committed to helping her clients make the changes they want. She is registered with the Health Care Professions Council (HCPC) and the British Institute of Hypnotherapy and NLP (BIH) and is on the Register of Lightning Process Practitioners. As an ultra-distance runner, I was never really aware just how important my back was to my running – until it went wrong! Dave Inman’s painstaking and sympathetic approach to treatment, and his expert advice on how best to return to exercise was key to my return to full fitness! Both you & Tom were impressively thorough in your examinations, but also wonderfully determined to get my problems solved. I really don’t think I could have enjoyed my visit to Bath’s theatre or the following week to Brighton without your help. I was really beginning to suffer, but thanks to your hands & strength & subtlety I came through it. I was also impressed at how easily the problems were explained and the future’s definitely brighter! Unfortunately I’m rather prone to having my back go into spasms at the least opportune moments making movement very difficult and painful. Luckily for me I have the phone numbers of Jo and Dave at Oldfield Osteopathic Clinic who bring me back from all sorts of hideously twisted positions so that I can function again without pain. They do such great work that I’m almost inclined not to sing their praises too much in case I can’t get to see either of them next time I ‘ping’! Dave has provided an outstanding and personal service over the past six years. Not only has he helped me manage the back issues I have experienced but he has also been able to quickly treat any injuries or niggles I have faced since becoming a full-time rugby player. Dave has achieved this whilst providing excellent knowledge in what he does as well as fantastic facilities, for which I am very thankful.